These pencil weights have a slimline profile for better casting. The shape also means they have less chance of getting snagged. 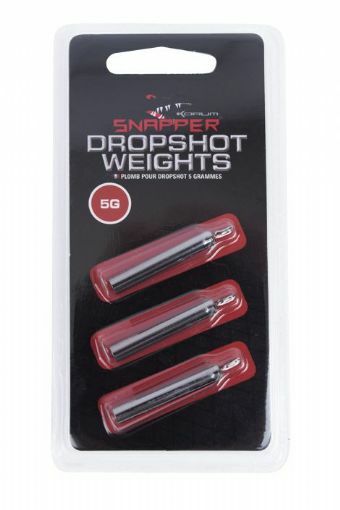 The increased length also creates a great pivot point to work the Dropshot lure slowly. Move the bait, not the weight! The elongated swivel allows for quick and easy adjustment of depth.